ASD Service Learning: Environmental Awareness and Zero Platstic Lunch. It's interesting, sometimes, to see how journalism might play a role in awareness building and learning. Typically, as teachers, we are looking for "evidence of learning" either through formative or summative assessments. But once in a while you get a chance to assess informally in ways that were quite unexpected. Case in point: We were approached two weeks ago by journalists at CNN to look into the possibility of interviewing our students to gauge their lunch choices (specifically in terms of lunch food and packaging choices) as well as their awareness regarding global issues related to plastic in the oceans. 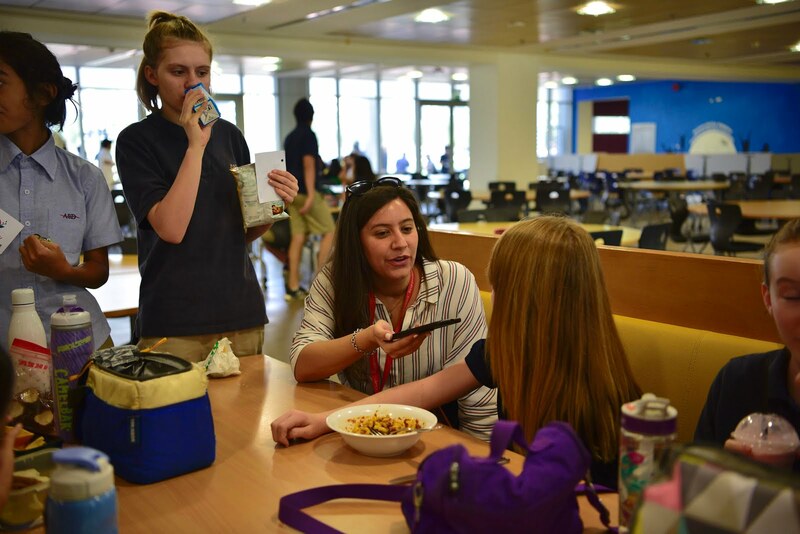 The journalist who visited our MS and HS cafeteria interviewed a number of students, often based on the "look" of their lunch, to ensure a variety of choices. Over the hour the journalist was visiting she was able to connect to a number of students, ask them questions regarding food, packaging, plastic and World Oceans Day (June 8). The visit, in addition to providing our visitors with great feedback (she noted, "it's amazing how aware students are"), was intended to generate awareness of CNN's project "Zero Plastic Lunch" which ASD supported on June 7. On that day we invited our entire community to participate by bringing a lunch without plastic and, in so doing. supporting for the oceans that so often have to feel the brunt of plastic-based consumer choices. Of course the issue of plastic is an ongoing one, so we invite everyone to support plastic free behaviors in an ongoing manner. Feel free to use the hashtag #ZeroPlasticLunch on social media in support of this great initiative!